It's been a long, tiring day, beginning with a wakeup around 6:30 am to get to DC (hopefully lots of pics to come from that!). I'm definitely about to pass out any second now, but wanted to share this strange effect on the first shot of my most recent roll of the Portra 400NC. It looks like a weird light streak but the Contax has never had issues with light leaks, so what gives? Well, it could have been a good shot. I'm excited to see cherry blossom (I'm assuming?) pictures! I don't think I'll be able to make it down this year. All those years near DC and I didn't take advantage of them as often as I should have. NY has so much interesting destinations within driving distance. Looking forward to the DC pictures, one of the places I want to visit most south of the border ;) Interesting light streak though! My vote: It's a ghost. Maybe it's the film? Looking forward to see DC pictures! 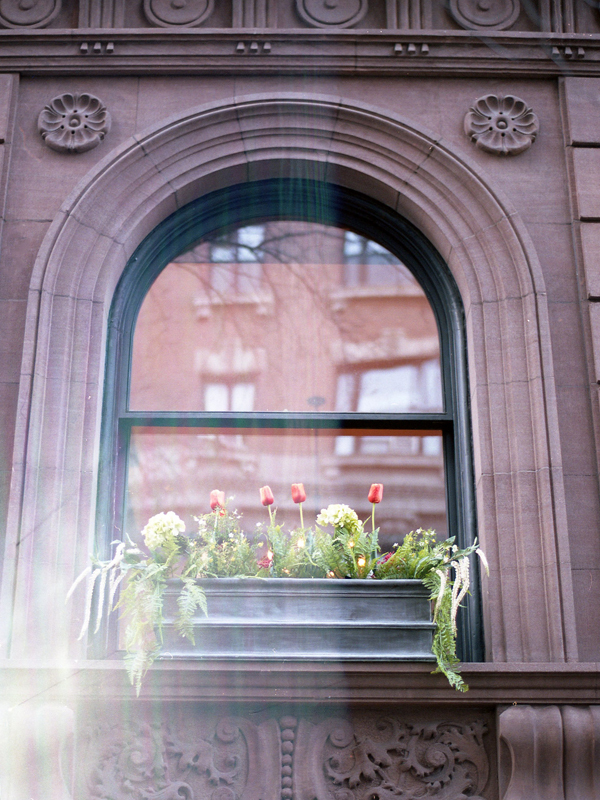 I think the light leak is just part of the beauty of film - you never know what you will get! Looking forward to the DC pics - the cherry blossoms should be beautiful this time of year! I like it! A neat ray of light! Your photos are always great.